The boats and ships found here are owned by Regia Anglorum. 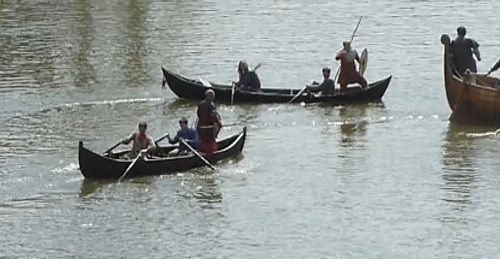 They are sailed and rowed by the membership at private events, but also form the centrepieces of reenactment events throughout the UK. At 7 ships strong, Regia Anglorum has the largest fleet of reconstructed Viking ships in the United Kingdom. 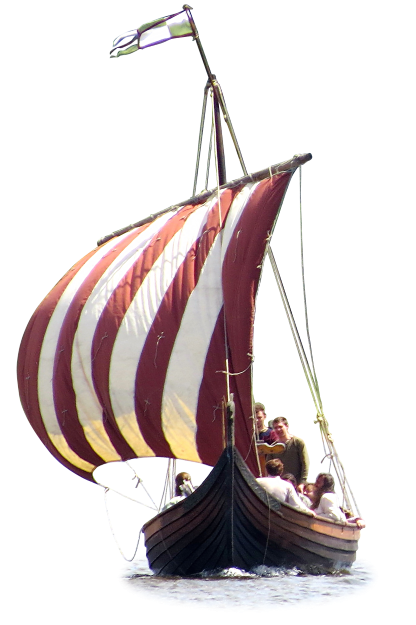 They are maintained and manned by dedicated volunteers and travel throughout the country and occasionally overseas to help filmmakers and television producers recreate the lives and times of the Vikings and their contemporaries some thousand years ago. Details of the current fleet are below. Please note that maintenance is ongoing and dependant on volunteer labour, this might mean some of the below are unavailable. If you are considering hiring a boat, please enquire early to best avoid dissapointment.